Perhaps . IMO, though, this “madness” manifests itself mainly in the final movements of some of his compositions (e.g. the Piano Quintet and the Third Pisno Sonata—both of which I admire immensely despite this quirk). It’s as if good old George couldn’t get himself to finish those movements, and they become wayward and almost unstructured. At times, you fell like screaming: “Stop it! You have nothing more to say in this movement!” . Fully agreed. But nowhere is this meandering more apparent than in his School Symphony, whose final movement goes on and on and on and on and on forever --- so the tendency seems to have been there right from the beginning. 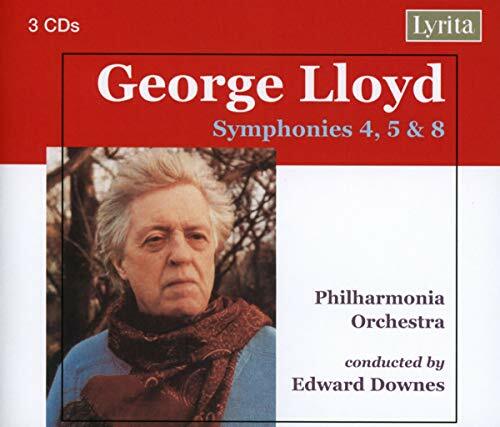 Can't say he's among my favorite composers but neither can I say there is a single work of his that I dislike. 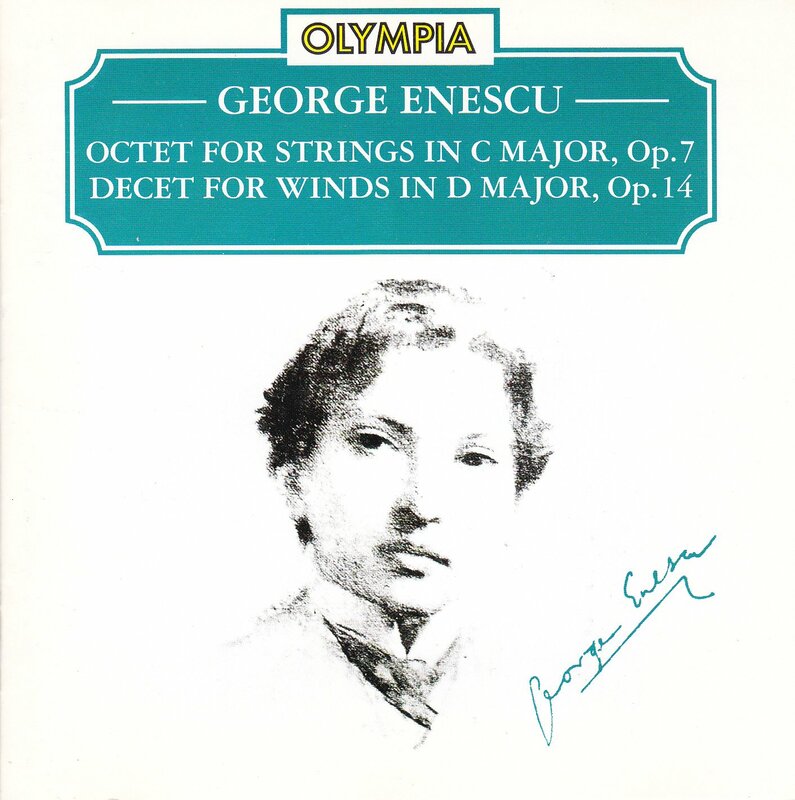 I've had that recording for many years and I think it contains good performances of Enescu's two finest works. 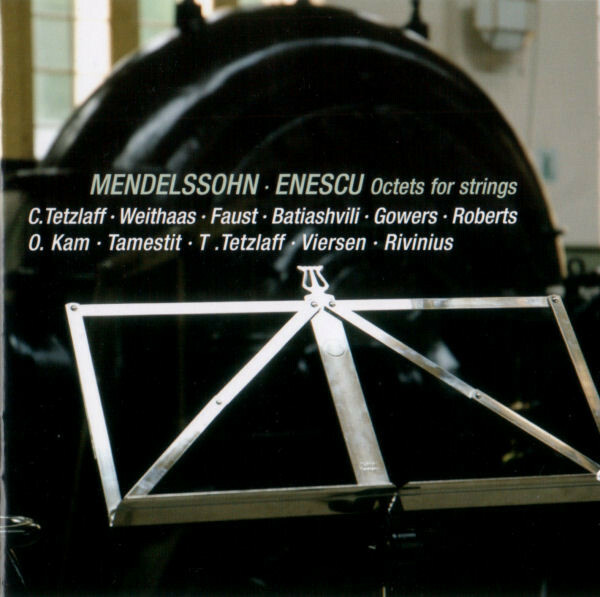 That disc and the one below containing Enescu's other masterwork, the chamber symphony, is all the Enescu I'll ever need. 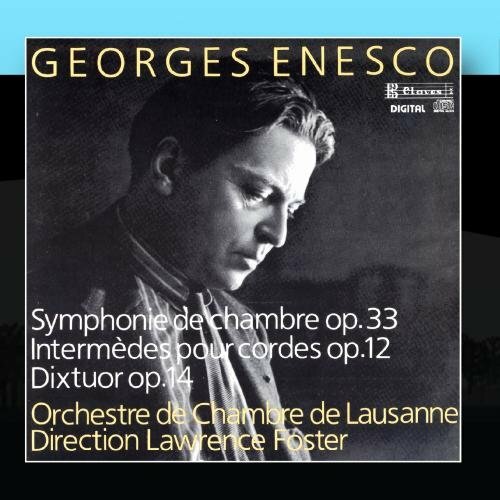 I have a lot of other recordings of Enescu, but beyond those three works, the Decet, the Nonet and the Chamber Symphony, I've been disappointed. Watch this, it is THE BEST performance of anything by Enescu ever, period. Give me goosebumps every time I watch it. I’ve heard lots of Enescu that has been attractive to my ears, but I’m optimistic that I’ll ‘crack the code’ soon enough. He’s a brilliant composer, IMHO. What are those attractive works? 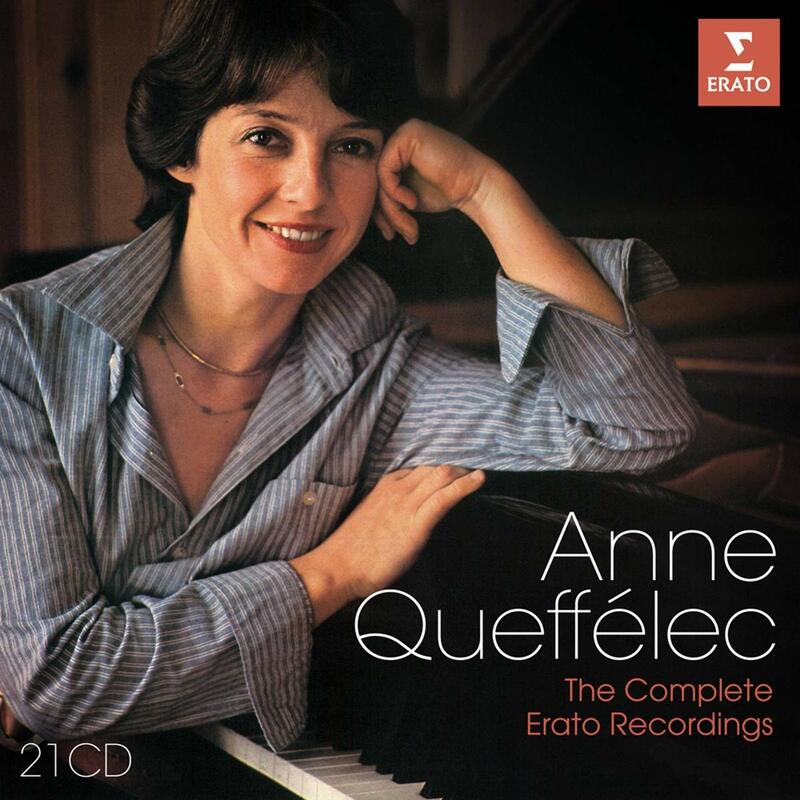 I recently listened to a disc with two piano quintets, which never seemed to gel. 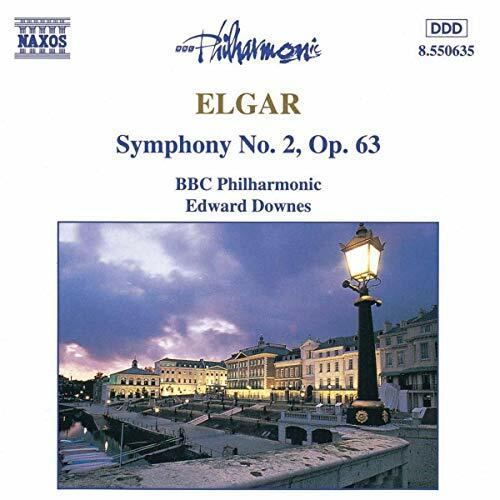 The symphonies struck me as flamboyant orchestration of nothing in particular. The rhapsodies...well I never like pieces titled "[ethnic group] rhapsody". The Violin Sonata No. 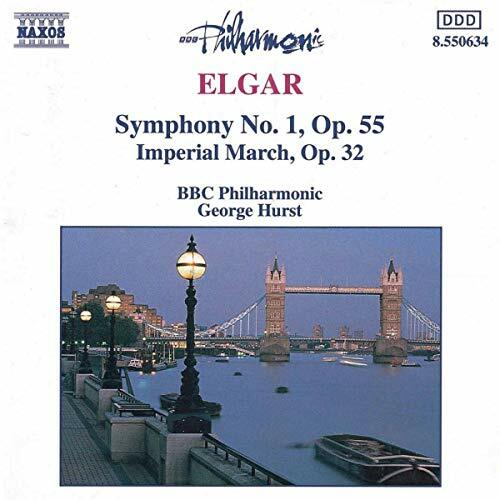 3 is an outstanding work with a gypsy flair not unlike Ravel’s Tzigane, but obviously in a longer form. 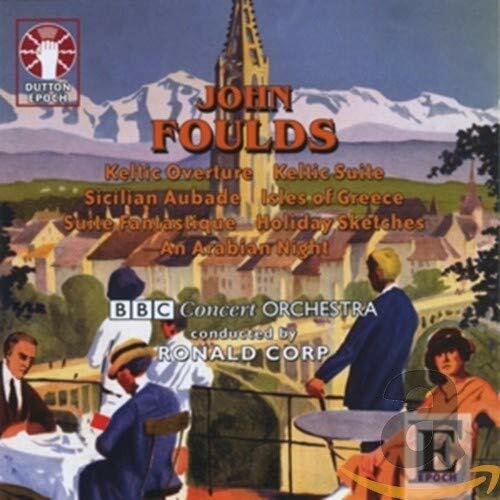 Orchestra Suite No. 3, “Villageoise” is haunting and Vox Maris is mesmerizing. The Piano Quintet is superb. I think you’re being pretty silly when not liking the Romanian Rhapsodies Nos. 1 & 2 because of a title, that is, if this is your only reasoning for not liking the works. If you just don’t like the music, that’s a different matter entirely. Also ‘flamboyant orchestration of nothing in particular’ seems to me that this criticism could be leveled at many composers (i. e. Strauss, Ravel, Mahler, etc.). Sometimes music just doesn’t click with us on the first or second listen (and even well after), but this doesn’t really seem like a reason to write the works off. As much as I’ve tried, I still don’t get Messiaen, but this hasn’t stopped me from trying to understand the music and get a better grasp on it. Thanks for your comments. I've certainly listened to the rhapsodies. I was curious whether you were referring to any piece I have not heard, but I think that is all stuff that I have tried. 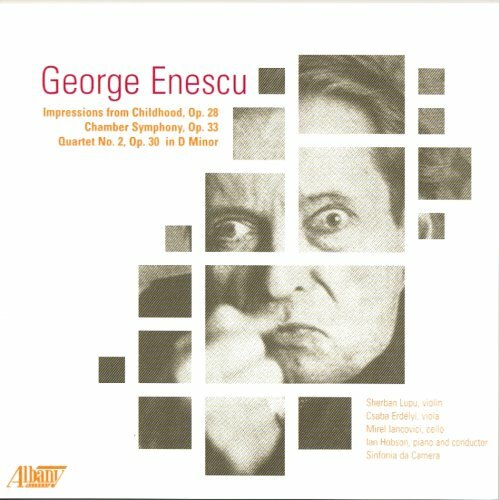 I wouldn't claim there's no merit in Enescu's work, but there are many other composers and other works that demand my attention. The time available to me for listening is very limited, and I don't want to waste it on works for which I am most likely find myself nodding off and waking up when it stops. I find Enescu ends up in that category, for me (except for the three works I mentioned). I have a vague memory from the booklet that in the photo he's acting out one of the scenes from the "recollections from childhood," or something to that effect. It’s almost as if he’s recalling a time that he threatened another kid because he stole his lunch money. Or perhaps the camera brought out the Shakespearian actor in him? I think we've been through this before here on GMG (perhaps in the composer thread?). As IIRC some fellow GMGer pointed out, that picture is Enesco imitating actor Mounet-Sully, who was a famous Oedipus in fin de siècle France. Be it as it may, it does look crazy! Quite a clean performance considering the speed. Bravo! The rhapsodies...well I never like pieces titled "[ethnic group] rhapsody". Surely it makes a difference whether the composer is a member of the ethnic group in question? It is more that transforming folk melodies into orchestral music is not my thing. I am so looking forward to the Queffélec box. Mine must be on the slow boat from England because it has yet to arrive. 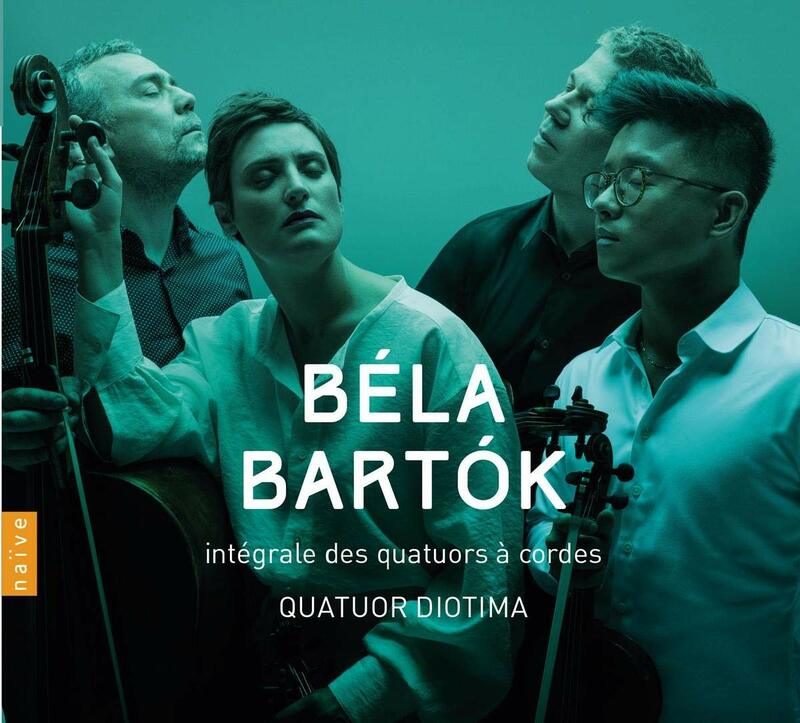 Somehow I missed the Bartók quartet box from the Diotima Quartet in the new releases forum. I've just placed an order. 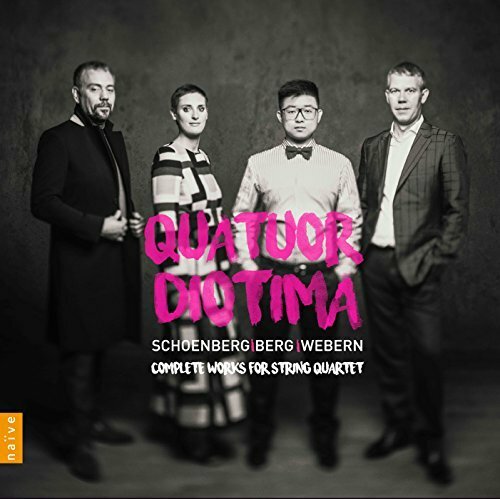 I very much enjoyed their box of string quartets from Schoenberg, Berg & Webern. Sadly, now out of print.